Carrying the trunk and duffel bag to the cabin. Everyone pitches in when the buses from Chicago arrive. It’s amazing to see how quickly everyone gets settled. What goes in the trunk? 1. Well, clothes. But not too many, and not too few. Look at the packing list and try and stick to it. Highlands can get pretty chilly at night. A warm pair of fleece jammie pants go a long way. To the same point, a pair of flip flops or crocs is crucial. Follow the list and your child will be good to go. 2. A flashlight and batteries. Since the cabins don’t have electricity, they WILL use that flashlight. And, if they need to go to the bathroom in the middle of the night, there’s nothing worse than not having a spare set of batteries for that torch. Of course we sell both items in the store, but it’s a good idea to make sure you send some extra batteries. 3. Labels. Label everything. Socks, underwear, the whole kit and caboodle. Toothpaste. Everything. Heck, you can even send them with labels in case you miss something or they buy a nice hoodie in the camp store. There’s nothing worse than losing a $50 rain jacket (!? How do they get away with charging that!?) because it wasn’t properly labeled. 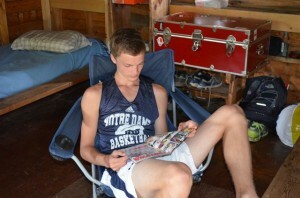 Magazines and books are a great thing to send along with your child to camp. 4. Hobby materials. Is your son obsessed with paracord bracelets like my kid? He loves to draw? Send him with the proper materials to putz around with during downtime. Remember, to a nine year old, 1 1/2 hours of “rest hour” can seem like a 1000 years! 5. ADDRESSED and STAMPED postcards and stationery. In this digital era, kids (we are finding), have no clue how to post a letter. We have found that even better than an example envelope, a stack of pre-posted and addressed envelopes are gold. Would you really like it he wrote to his Granny and Pop and Aunt Carrie this summer? Send those too. You’ll be glad you did! Remember, stick to the packing list. Don’t send food (of any kind!) or electronics. Label everything, and if you’d like to hear from your child, take a step of work out of the process for him and pre-address the envelopes. And, to our professional CH moms and dads out there, what else are essentials for your child? What have you found that he can’t live without? 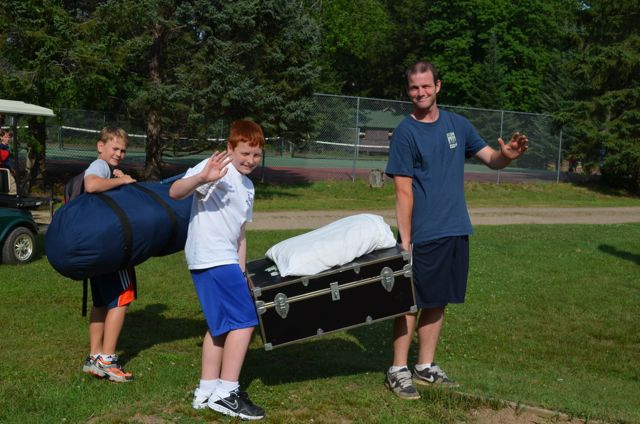 We are counting the days until we see your boys at Camp Highlands!